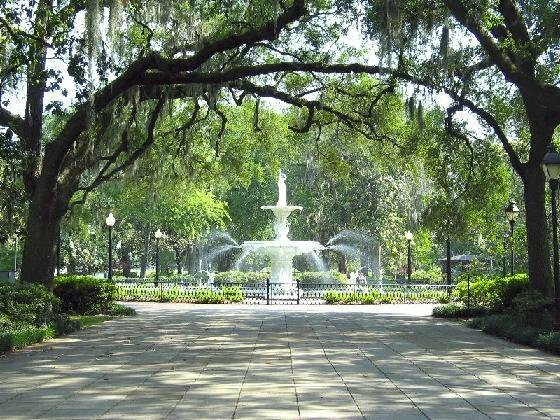 We’re going to assume you’d love the chance to visit Savannah. We’re going to also assume you’d love to meet Paula Deen. (Have you seen her Chefography? Because that warm-eyed woman is made entirely of steel, charm and a little sweet cream). Which leaves us with one question. Do you love ham? Smithfield Country Ham in particular? Because professing your love for Smithfield Ham in 25 words or less might win you a trip for two to romantic Savannah where you’ll break biscuits with the beautiful Butter Queen herself, Ms. Paula Deen. Luckily, Smithfield ham is incredibly delicious. The only problem might be limiting yourself to 25 words. A trip for winner and one guest to Savannah, GA in October 2011 (dates TBD with Paula Deen); including round-trip coach class air transportation, two night hotel stay, Paula Deen Tour of Savannah, Lunch at The Lady Sons, Dinner at Uncle Bubba’s Restaurant and transportation, additional meals for two days. In short, you’ll escape to a romantic southern city in October, dine at the most popular restaurants there, possibly peek at those handsome Deen sons and brunch with the Lady herself. We thought you should know about this one. Can’t you just hear her lady roar of laughter? It’ll be like meeting a fairy godmother: you’ll feel wittier and prettier in her presence even as she blows you away with all she’s done. That’s how I picture it. If you need any more persuading, just read Grace’s City Guide. Savannah is her favorite city in the world. The giveaway ends Friday, so starting thinking about country ham today. We love it the traditional way – with biscuits – as Lydia featured here.